Brian Smith is excited to debut in his first theatre stage production, though this is not his first time performing acts of wizardry and legerdemain professionally. Brian has been a practicing professional magician and mentalist for many years having amazed and amused thousands of kids from age 2 to 102. 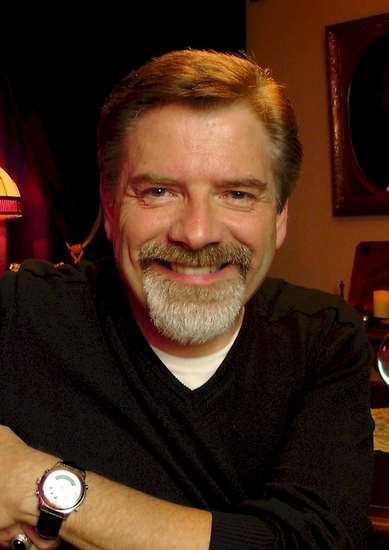 Brian has played the lead in Doc Smith’s Medicine and Magic Show (where “laughter is the best medicine”), for hundreds of senior care and skilled nursing facilities; delighted children both in preschool settings and for CHOC Children’s Hospital of Orange County with his whimsical Mister Ian Magic Show; amazed audiences as Victor Ian E’lan, “THE GREATEST 19TH CENTURY CONJUROR AND CLAIRVOYANT ALIVE TODAY” in Soirées Mystique – An Evening of Victorian Enchantment and is now working on a new turn-of-the-19th-century mental magic and mind-reading show Steampunk Mystic – Journey to the Center of the Mind. As one can tell, Brian has a unique passion for the Victorian era. Brian’s love of magic continues into the 21st century with The Academy of Wonder™ an offering of specially designed magic classes that incorporates “life lessons” into it’s funtastic 8-week youth enrichment program. As the exclusive Los Angeles area licensed presenter of the Discover Magic™ curriculum, a one-of-a-kind, internationally recognized program specifically tailored for 7 to 12 year old students, Brian is passionately dedicated to maximizing potential magic abilities that exists in us all to develop people and life skills in children, through performance-based learning experiences.